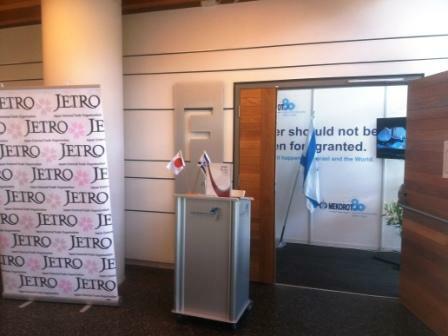 The seminar, organised by JETRO and Mekorot Water Company, is aimed at introducing potential co-operation in the water technologies industry, between Japanese and Israeli companies. Israeli and Japanese companies will present their solutions to today’s burning needs in the water market, and elaborate on their interests and areas of potential collaboration. The event will include time for networking to strengthen potential collaboration opportunities. Please click here to view detailed program.